To say that my New Year’s post is a little late would be an understatement. It’s already February, and I’ve yet to write a blog post this year (aside from having a guest, C. S. Boyack and a reblog of Mae Clair’s post about her latest release). I started a draft, or at least I had the title, but never got any further with it. And suddenly January got away from me with nothing to show for it. In a way, that’s a reflection of 2018. It was, for me, the year that wasn’t. At least in regards to writing. I began the year determined to write more words, read more books, post on my blog more often, and publish the third and final book of my Driscoll Lake Series. It didn’t happen. I don’t want this to sound like I’m making excuses, but life just got in the way. There were lots of changes at my job (the one that pays the bills). My husband and I had health issues. I had emergency eye surgery in September, and he had a triple bypass and aortic valve replacement in late November. During his recovery time, I couldn’t wrap my head around writing. I’m trying to get back into the swing of things. Words are beginning to flow again, so I’m hoping to release Unclear Purposes in the spring. I already have ideas about a new series, and I’m contemplating publishing a book of short stories. I also plan to blog more often. Some things I want to include are book reviews, guest spots to authors, keeping readers updated with the progress of my WIP, and other random posts. 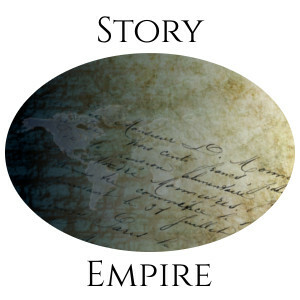 I may even do some character interviews to familiarize readers with my stories. I wasn’t sorry to see 2018 end. So far 2019 has been good—my husband is back at work and doing well, things have settled down at my job, and in general, I feel optimistic about this year. How is your year going so far? I’d love to hear from you. Joan, so glad to hear you’re both doing better and the situation at work is better. Look forward to the publication of the third in the Driscoll Lake series and short stories as well. I hope your writing moves along well and that you find the satisfaction you missed in 2018. Since 2016, we haven’t had a year that’s gone really well since that was the year of my fall and the restart of spine issues. This summer we learned the fusion done in 2011 failed by not growing sufficient bone between three vertebrae. It took a long time to find the real reason to a great deal of my pain, and when they finally did, my spine surgeon since 2010 told us he didn’t feel capable to do the repair job and sent us to a teaching and research hospital here in Portland where he felt I’d get the “best of care and access to state-of-the-art testing and surgical equipment. It’s taken since my first appointment with the new doctor to get approval for surgery, which is finally scheduled for March 6th. I’ll be away for awhile but I’m getting antsy to clear my head of painkillers and muscle relaxants and be better able to wrap my head around what I need to do. Here’s to a better 2019 for both of us!!! Sherrey, I know it’s been a long and painful journey for you. Prayers that the new doctor is able to do a successful surgery. And yes, to a better 2019! Your year sounds a little like mine, minus the health issues. Glad you are both doing better! Stuff like that has a way of tanking good writing intentions because your mind and energy are focused elsewhere. Glad that writing energy is returning! Have a wonderful week, Joan! Thanks, Julie. So far this year is shaping up better than last year. Hoping I’m able to write lots of words! Joan, so glad you and your husband are doing better. I understand how difficult it can be to get any writing done. I have done very little on my WIP, but I have at least made an effort to do more blogging. I cannot wait to read your third and final book in the series. Good luck. You’re doing great with blogging. I applaud your efforts. I want to be more consistent here. Not making any promises, but we’ll see! Life does get in the way. You are not alone in this. For me I called 2018 the year of the pain. My knee, my ankle, pick your poison. My right knee was failing. My left ankle decided to go along with the fun. By summer the ankle improved. By fall the knee did not. Thankfully in November knee replacement surgery arrived. So far, 2019 is the year of the recovery. Fingers crossed there’s an end in sight. Bryan, I feel for you. I have a bad knee and am looking at having knee replacement surgery sometime this year. Wishing you all the best for 2019 and that it’s both a healthy and prosperous year for you. I know we both declared 2018 our year. And we both fell short. You had good reasons, though. I was so concerned for you and your husband, and I’m so thrilled you’ve both weathered the health storms and are back to life as usual. Maybe this will be the turning point year. Wishing you much success! We did do that, didn’t we? I’m not declaring anything this year, just thinking optimistically. Hoping this is a much better year for you too! Joan, you really had a rough 2018–you and your husband both. I am so happy things are back on track for you and tht you find your energy for writing returning. I’m excited about the conclusion of Driscoll Lake, and also to know that you have new works you’re contemplating. Wishing you fabulous success in 2019! Last year is one I wouldn’t care to repeat. But in the end, everything turned out okay. I’m excited about writing again! Life has a way of interrupting our plans. Hope 19 brings you something different, and a little peace and prosperity. Harmony, it’s hard to believe your wedding is only three months away. Warm thoughts for your health to improve and I’m so excited for your upcoming wedding. There’s nothing wrong with small word counts. As much as I would like to churn out 2K and 3K words per day, I know that’s just not possible every day. (Now when I’m able to retire… LOL) But those small word counts add up. Just keep plugging along! Whew, I bet you’re glad to get 2018 done and over with. I hope you have a fabulous 2019, and happy writing! Priscilla, I wasn’t sad to see 2018 end. I’m optimistic this will be a good year. Thanks for stopping by. Those patches in life come and I’m glad you and your husband are doing well now. I came out of a writing lull finally and ended up with several stories all at once. May 2019 be your year! Thanks, Denise. I thought 2018 would be my year, but of course, it wasn’t. Hoping the words come and I have time to write them! I wish this year be a MUCH better year for you!! Wish you the best!! And good luck! !